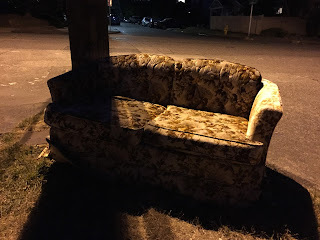 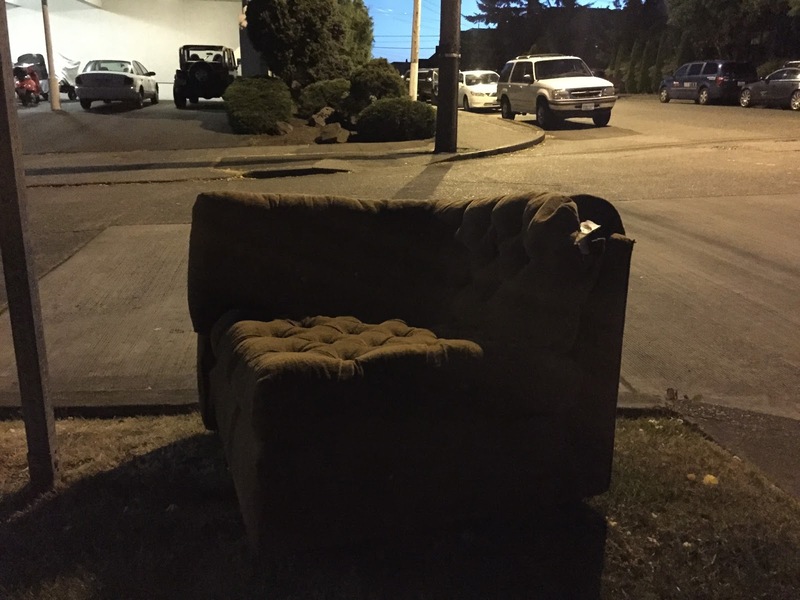 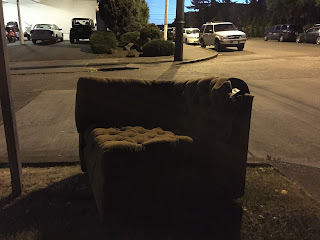 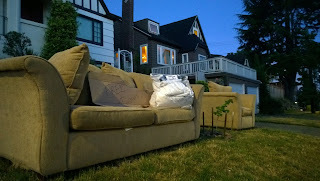 This episode of outdoor furniture features nocturnal pieces; they only come out on warm nights*, waiting to be someone's treasure. 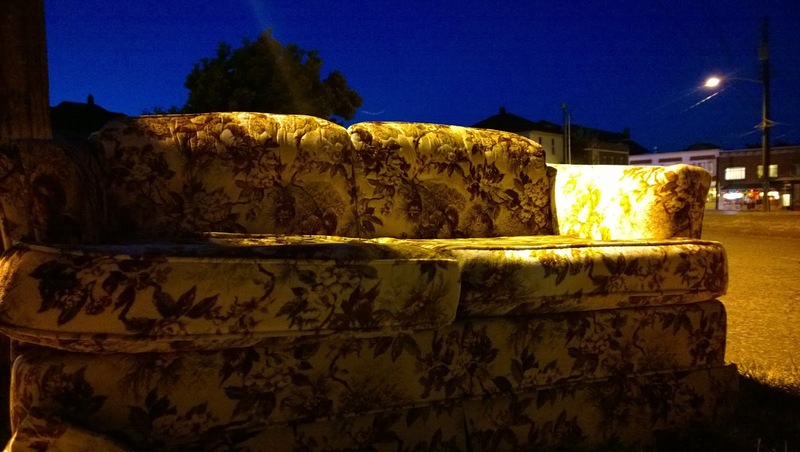 A brown corner seat, a sofa bed on it's side, a chintz-y couch, and an overstuffed sofa and matching chair. So much selection and it's not even the beginning or end of the month when you typically see pieces curbside. 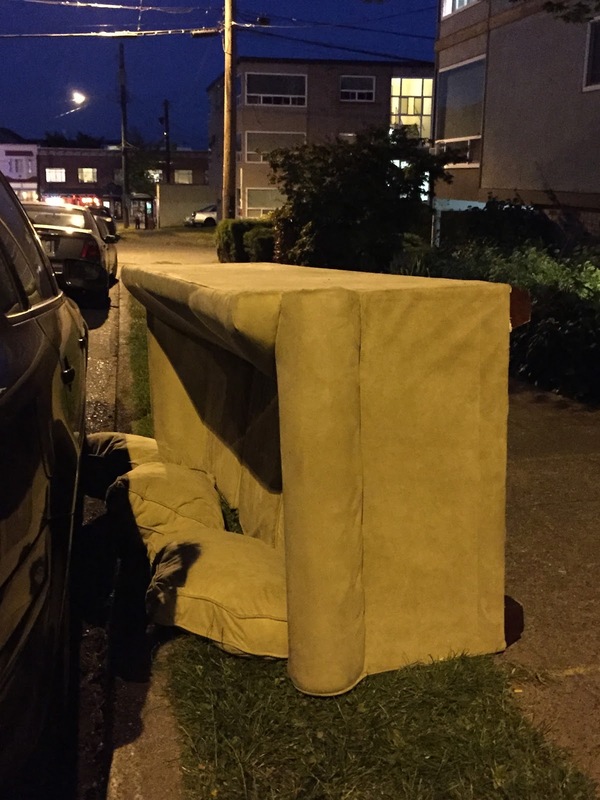 * Okay, it's not summer yet here in Seattle, but sure has been some warm weather. We were walking back from Delancey's pizza and came upon these pieces. 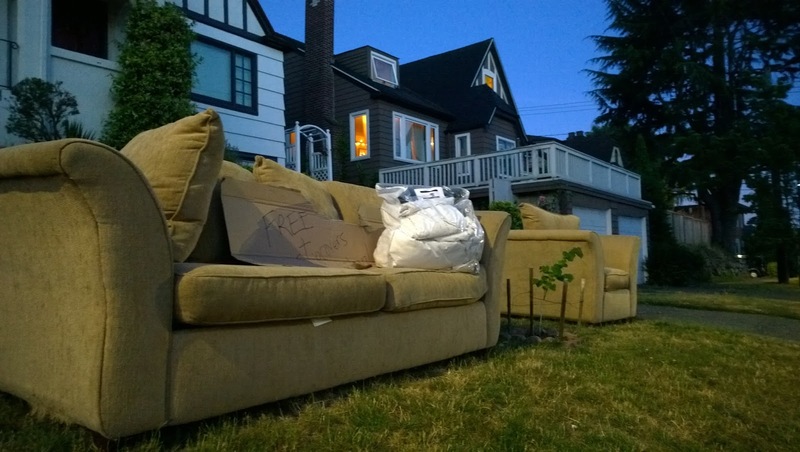 Hope they all found a home. 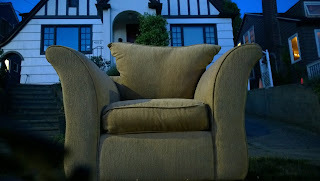 I imagine the furniture humming Night Moves.